Oakland’s Doug Martin signing was not a precursor to a big shakeup in its backfield. The Raiders are going to retain Marshawn Lynch, Ian Rapoport of NFL.com tweets. He will receive his $1MM roster bonus due on Sunday, Rapoport reports, and appears almost certain to return as the team’s feature back. Lynch signed a two-year deal with the Raiders, with most of the guaranteed money coming to the running back in Year 1. Jon Gruden provided a public challenge to the soon-to-be 32-year-old running back last month, indicating he needed a “full-time Lynch.” It’s looking like Bay Area fans will have a chance to see at least one more season of Lynch suiting up for his hometown team. Although Lynch was plagued by injuries during his final year with the Seahawks, leading to his retirement/2016 sabbatical, he played in 15 Raiders games last year. He was not allowed to play in all 16 because of a suspension. While Lynch was reportedly a problem for previous Raiders coaches, he’ll have a strong chance to keep his starting job. He rushed for 891 yards and seven touchdowns last season, with his 4.3 yards per carry eclipsing the 3.8 mark of his final Seattle slate. 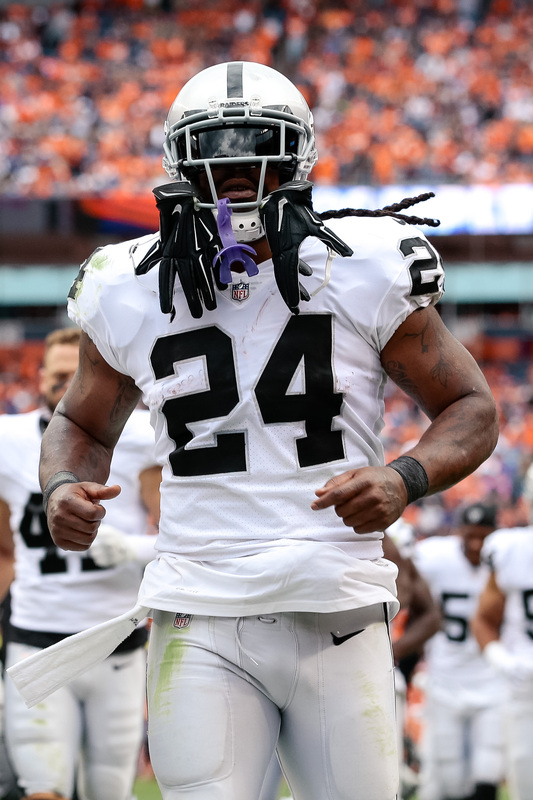 Lynch, though, came on strong late in the season, rushing for at least 95 yards three times in the Raiders’ final five games after failing to do that previously for the team. Lynch, Martin, DeAndre Washington and Jalen Richard are the top Raiders backs. The latter two are signed to rookie deals but have impressed in spurts in the past. Coming off back-to-back seasons of 2.9 yards per tote, Martin may have to show he’s worthy of another chance with Lynch now being given the green light to stay with Gruden-led team. Oh yes . Thx Raiders. Gruden will let his play beg the fans for him to release Beast Mode. Gruden just doesn’t want to have all of Oakland on his doorstep. Im surprised they didnt let him go with his lack of production this year then again there really wasn’t better options out there. Adding Martin was good and maybe they feel they can add through the draft. If they get a decent back in the draft maybe they do let him go. 900 yards and 7 tds in 15 games isn’t lacking production. Right? Especially after being gone for a year. Seattle would’ve loved to have that production out of a RB last season. You mean 25. You cant name 5 running backs that played until they were 35. Nice!! Glad to hear this guy still was a beast for having an “off year”.. Now with Gruden back its gonna be like the old days with Crockett and Garner, the run and pass game is gonna be hard to stop.